Here are photos from my semester studying abroad in Prague, Czech Republic. I wanted to take the opportunity of being in a new environment and photograph in a different medium than I usually document my experiences. All photos were shot on film and with primarily Kodak Portra 400 or TMax 400. Square photos (6x6) are 120 film rather than 35mm. September, the first full month of Prague, was definitely a surreal month. Not once did I go anywhere without someone in my program and it was when I started to photograph on film. I was sure that every roll I dropped off to be developed would come back damaged, but I slowly grew more confident. View of the Vltava river from the Legion Bridge. Gravestones in the Old Jewish Cemetery. Amanda Daily on the RegioJet train to Ostrava, Czech Republic. Megan Schneider on the RegioJet train to Ostrava, Czech Republic. Cafe on top of Bolt Tower in Ostrava, Czech Republic. A participant on the tour of the Mining Museum in Ostrava. Sunset during my film language class. October was another busy month of travel and when the idea for our final project was being solidified. It was also when I started to be less fearful of going out to photograph by myself and actually enjoy it. 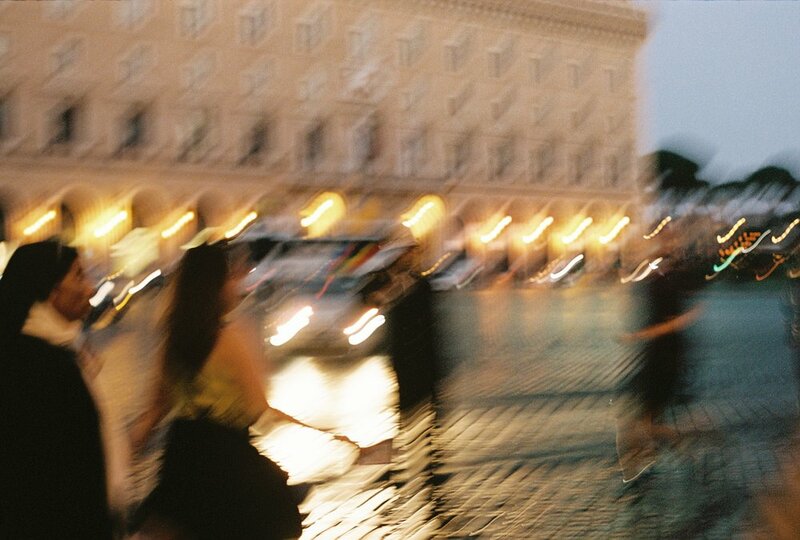 I visited Budapest, Hungary, with people in my program and I also spent four days in Rome, Italy, where I stayed with friends who were studying abroad there. Church of the Assumption in Kutná Hora, Czech Republic. Buildings in Budapest at 8am. 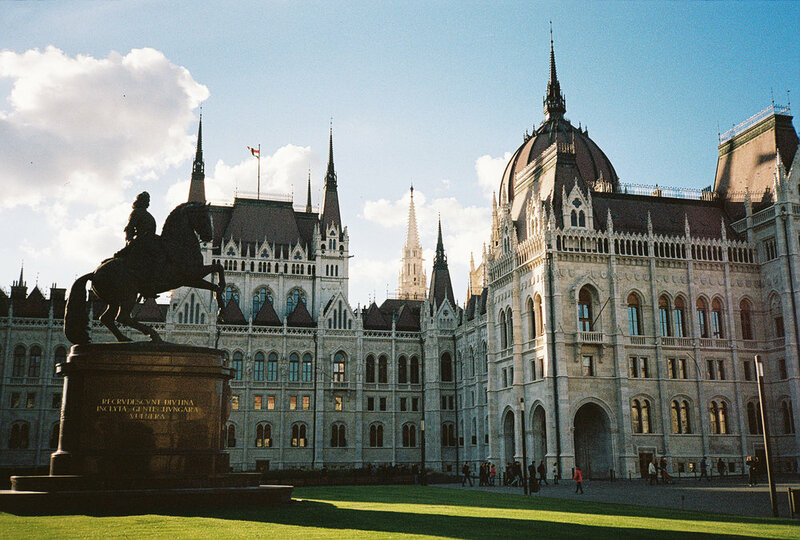 Hungarian Parliament Building in Budapest. Cat seen in an apartment building on Klimentská. Ben Peters at Barrandov Studios. 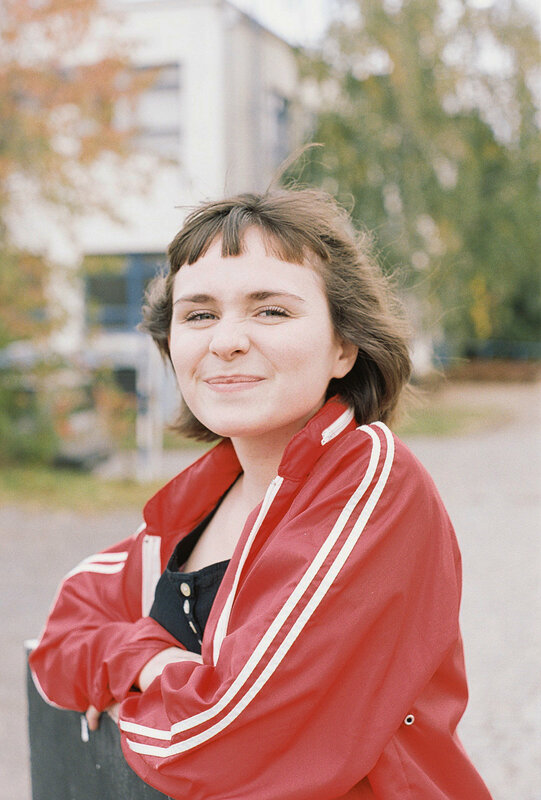 Linnea Nugent at Barrandov Studios. Columns of the Pantheon in Rome, Italy. Nia Hampton in Villa Borghese, Rome, Italy. Building in the Roman Forum. November was the month of hitting my stride living abroad, but also when I wanted to push my film photography. 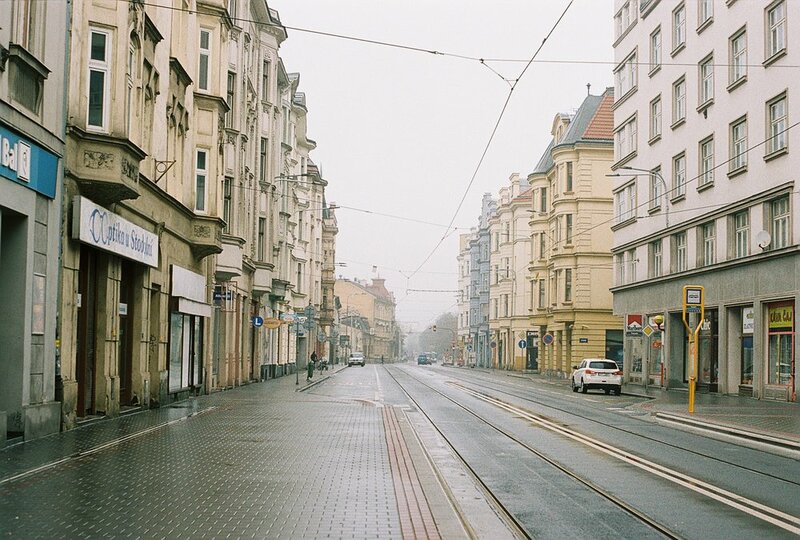 I decided to buy a medium format camera at a used camera shop in Prague and teach myself how to use it (with the help of sending questions to my photo professors back at AU). The first roll was a disaster, but afterwards it got easier. I traveled to Amsterdam and Vienna, before the pre-production of my group's film project began. I also helped on a few groups sets. 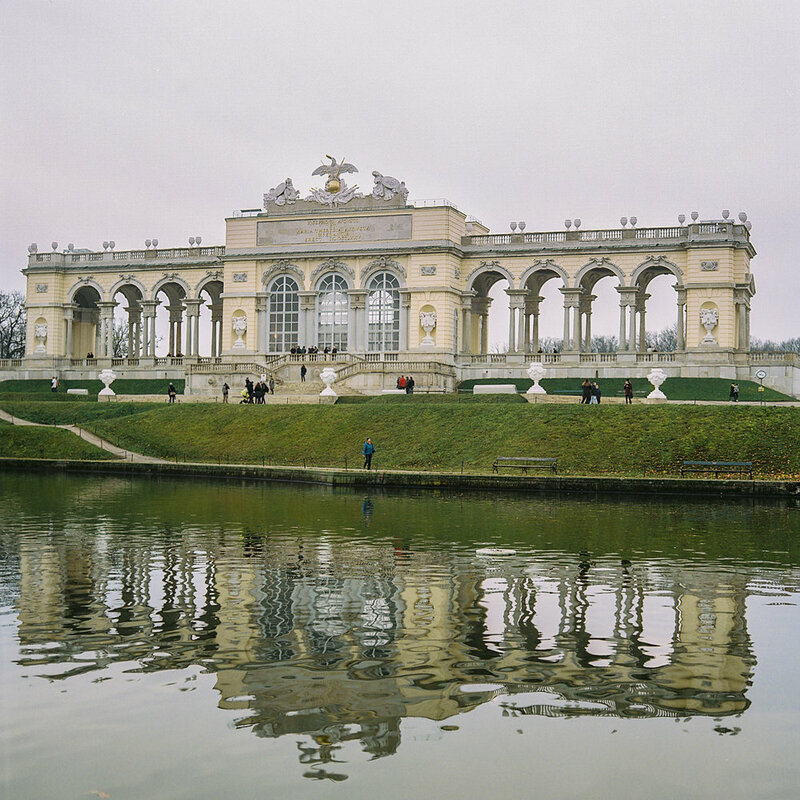 The Belvedere in Vienna, Austria. Linnea at Phil, a coffee shop in Vienna. Emily Hall holding up a grey card on the set of her group's film. Tim McPhillips on set of his group's film. Silhouette of Noah Morse on set. Joseph Knopke on during break on set. Filmmakers of Kámo after wrapping. My group's filming happened last, but was pretty successful, despite fears of weather and having a lot of shots to film. The Christmas Markets also opened through out Prague and I tried to savor every aspect of Prague that I could before the semester ended. End of my group's first day of filming in Stromovka. Director Ben and actor Ondrej Pech. Christmas tree in Old Town Prague. 17 tram passing by Čechův most. Christmas tree in Old Town Prague at nighttime. Seagulls in the Vltava by the Karlovy Lázně stop. View from Letná Beer Garden. Statue on the Charles Bridge. The National Theatre seen from Střelecký Island. Linnea on the 15 tram. Church of St. Anthony of Padua in Prague 7. Sunset after my group finished sound mixing our film. To say that the end of my experience makes me sad would be an understatement, but my friends reminded me that its not the end, but rather the beginning of a new chapter in my life with a different perspective and newly gained skills. I'm excited to use what I learned in Prague in my everyday life and grateful to have these photos to look back on.